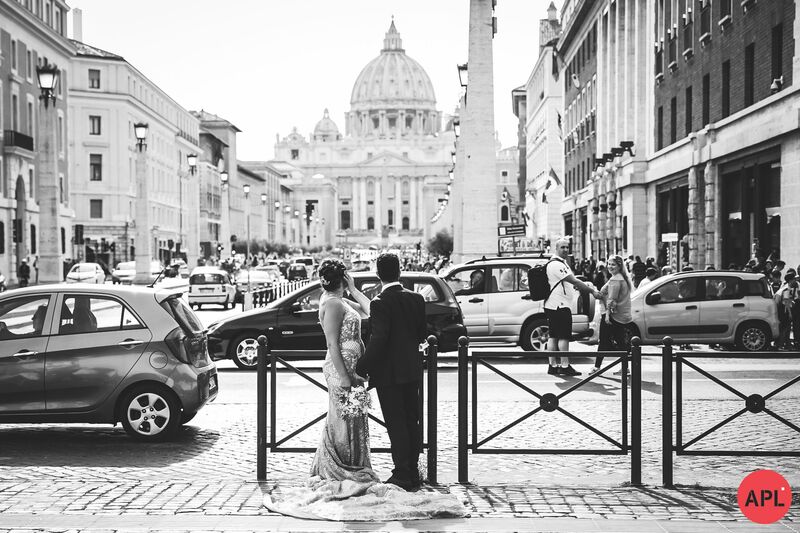 “The church was on Via Del Corso, the main street of Rome, and our photos were taken at St Peter’s Square, Castel Sant’Angelo and the Colosseum,” describes the bride. “Our reception was at Castello della Castelluccia — it was quaint with plenty of character.” This was topped by plenty of good food, flowing wine and great music. “It was truly overwhelming, as were the people of Rome who would applaud and congratulate (and take selfies with) us as we walked the streets,” says Angela. Angela’s luxurious J’aton gown included a breathtaking train with intricate beading and lace.